any photo card or invitation. 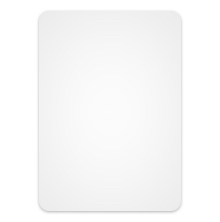 Edit, or remove any text that’s part of the card template. Add your own text for a more personal touch. card or invitation. Even upload your own! We'll address both your recipient and return envelopes, so you can focus on planning the big day! Choose from a variety of fonts and colors that suit your style. MIXBOOK!! I "heart" you!! The Christmas Cards I ordered arrived today. I LOVE THEM! And how do you get them to me sooooooo quickly????? Kudos! I received my Christmas cards today and I love them! This is my first order with you but won't be my last. Everything was great! Got my Christmas cards today. Love them! You did an awesome job!! Complete your theme with matching address labels. Choose from existing designs or personalize with all the same options used on your custom designed card. Show your love month after month with a custom photo calendar. Give the gift that keeps on impressing. Turn your treasured photos into art. magnets for the big day. Choose from our exclusive selection of designs and styles that will be sure to suit every trend - from classic and traditional Christmas cards, modern greetings of the season, or even fun and festive holiday invitations. Our exquisitely designed cards are carefully crafted - from every little snowflake, mistletoe, or star to beautiful backgrounds or even the style of font. 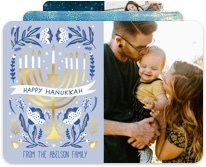 You will be sure to find the perfect holiday card to suit every joyous event and occasion. Planning a Christmas Party, holiday open house or New Year’s Eve gathering? Design your very own custom invitation and announce your party in style. Your personalized invitations will let your guests know that it’s an event that shouldn’t be missed during this season of fun, family, friends and festivities. 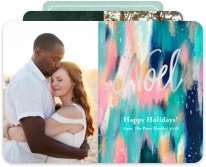 Start from a blank canvas and produce your own personalized design, or browse our designer collection of holiday card greetings and invitations. We even have designs by Studio Calico for more inspiration. Top off your holiday cards and invitations with a matching address label in the same design. Our cards are available in a classic signature matte finish or a satin sheen finish. If you prefer, you can upgrade to a premium luxurious matte finish on our thickest card stock. Choose between a flat holiday card or a folded holiday card design to complete the card that is uniquely your own. So don’t wait, and get a head start on your Christmas card, Hanukkah card, or New Year’s Eve Invitation this year so that you will have them ready to send out once winter rolls around. With our current promotions, you will always be guaranteed to get the best deal so that you’ll get the most affordable holiday cards. Sign up with your email to receive 50% off your first order with us! Your computer, Facebook, Instagram, SmugMug and more. Keep them for FREE on Mixbook for as long as you want.